Michael Gove has warned of the threat to food and farming posed by a no deal Brexit. The Defra secretary of state used his speech to the Oxford Farming Conference to warn that unless parliament passes Theresa May’s EU withdrawal agreement, farmers will likely suffer. “Of course, a nation as adaptable, resilient and creative as ours can and will flourish over time, even without a deal. “But the turbulence which would be generated by our departure without a deal would be considerable. As I said earlier, it would hit those who are our smaller farmers and smaller food businesses,” he said. Gove pointed out he argued for Britain to leave the European Union and said he stood by this. “I believe strongly that our departure allows us to rejuvenate our democracy, make power more accountable, escape from the bureaucratic straitjacket of the CAP and develop a more vibrant farming sector with access to technologies the EU is turning its back on,” he said. There were some real benefits for the food and farming sectors from leaving, he said. “Leaving the EU also means we can end support for inefficient area-based payments which as we know reward the already wealthy and hold back innovation, and we can move to support genuine productivity enhancement – and also support public goods like clean air or climate change mitigation which stem from the improvement of soil health, the improvement of water quality and or the improvement of pollinator habitats. We can also better support our organic farming, landscape restoration and biodiversity enrichment; as well as improving public access to the countryside. 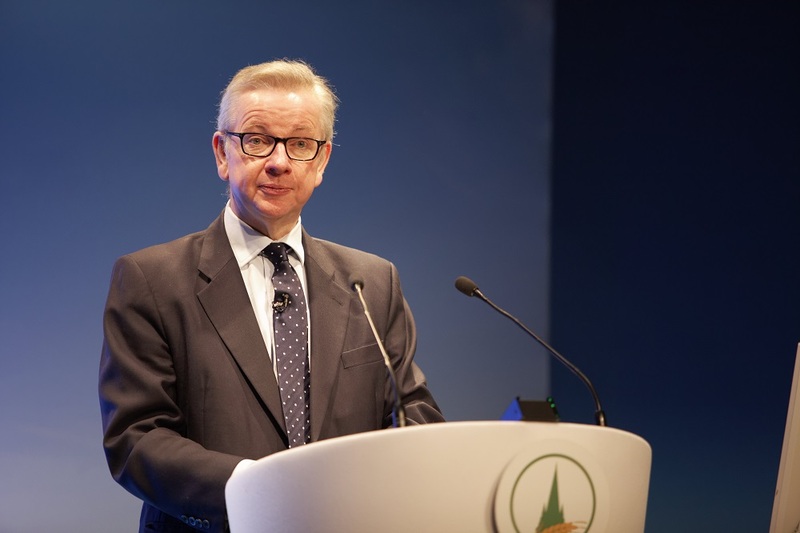 Gove also used his speech to call for increased innovation and investment in technology in farming. He said the world was entering its fourth agricultural revolution with AI, drones, machine learning and gene editing “helping mother nature and dramatically improving productivity,” he said. On gene editing, Gove said “in essence it is a process of accelerating natural selection.” He acknowledged there were ethical questions, but said it was “potentially transformative” and it was important lobby groups didn’t take over the debate. The secretary of state also made the case for attracting new talent to the industry. “In future farming will be seen as scientifically exacting, academically rigorous, another STEM subject and an increasingly aspirational career,” he said.